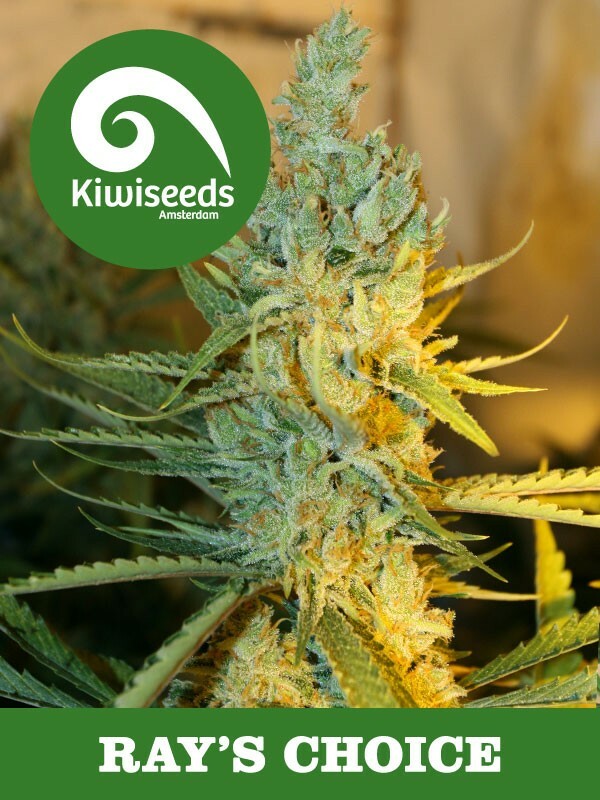 1987 was the year that set Kiwiseeds on it's path to success. It was that year that Ray, a very good friend of mine, and an extremely fine grower with a wealth of breeding knowledge, came back from California with handful of gigantic cannabis seeds. These turned out to be as far as we know the very first indica plants grown in our part of the world, and it changed our lives for good. Within the 1st season we had bred our own hybrids using our strong home-grown sticky sativas and crossing them with the Afghani indica genetics bought back by Ray. These first F1 hybrids were fantastic! Ray's choice is a 85%/15% sativa/indica cross (because Ray only liked a little indica in his sativa) It's a strong grower, forming magnificent colas. It's sweet and fruity and oozing resin that turns sticky when dry. Finishing times are fairly good for the quality/quantity content. Choice Ray! Thanks mate! Now available, the best of these genetics in Regular seeds, what better way to make the ideal strain than breeding the best of the best into your favourite variety? That is now possible thanks to our strains being available in Regular seeds too! 1987 was the year that set Kiwiseeds on it's path to success. Now available, the best of these genetics in Regular seeds, what better way to make the ideal strain than breeding the best of the best into your favourite variety? That is now possible thanks to our strains being available in Regular seeds too!